DataZap is one of the best image hosting providers in the industry. At DataZap you can upload and store an unlimited number of images that you can use for your auction, website images, classified ads listings, blog image hosting, or any other image hosting need you may have. 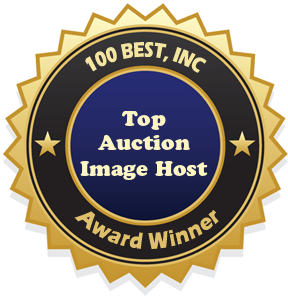 DataZap specializes in auction image hosting and has earned our Top Auction Image Host award. Read our DataZap Review – Top Auction Image Host post to learn more about DataZap. DataZap was founded in 1990 and has gone through a number of different business names such as MiniBBS, SkylineBBS, VirtualBBS. In 1996 DataZap was created as a web hosting provider and has been operating under this name ever since. DataZap is a family owned business and takes pride in providing the best customer support and reliability for all of their image hosting services. If you have any questions or problems with your service you can contact them anytime through their online form and they will get back to you as soon as possible. We have named DataZap our Top Auction Image Host because they provide all the best auction image hosting features you will need. You can upload up to 70 images from your local computer or the DataZap manager for your auction listing. With the DataZap image manager you will be able to resize or rename each image to meet your exact auction image hosting needs. If you are listing products on multiple auction sites, all your files will be save in a central location that you can access from any computer with Internet access, making DataZap perfect for any type of file hosting. If you have been using a free image hosting service, or are considering free image hosting DataZap is a much better alternative. With DataZap you will know that all your files are secure and that your file hosting services are reliable. You will never have to worry about going to access your site and finding out that the site no longer exists and all your files are “lost in cyberspace”. DataZap has been around for years and have proven that they can operate a successful business and provide you with reliable web hosting services.Visit DataZap.net to read what actual DataZap customers are saying about their services. See if DataZap will be your top auction image host pick too. This entry was posted in Uncategorized and tagged auction image hosting, datazap review, file hosting, image hosting. Bookmark the permalink.